Do you have these closet staples? No one is born with a perfect sense of style. It takes years of trial and error to figure out the colors, shapes, and fabrics that work best for your body and lifestyle. Your teens and twenties are the time for experimenting and also honing your style and filling out your wardrobe. By 30, a milestone age by anyone’s measure, you likely have your basic fashion tastes nailed down, and it’s a time when you’re financially able to invest in closet staples that you confidently know will serve you for years to come. Below, the 8 versatile, essential closet staples every Southern woman should own by age 30. Every Southern woman is well acquainted with cotton sundresses. But not every cotton dress is polished yet comfortable enough to take you from the office to weekend errands. Enter the cotton shirtdress. 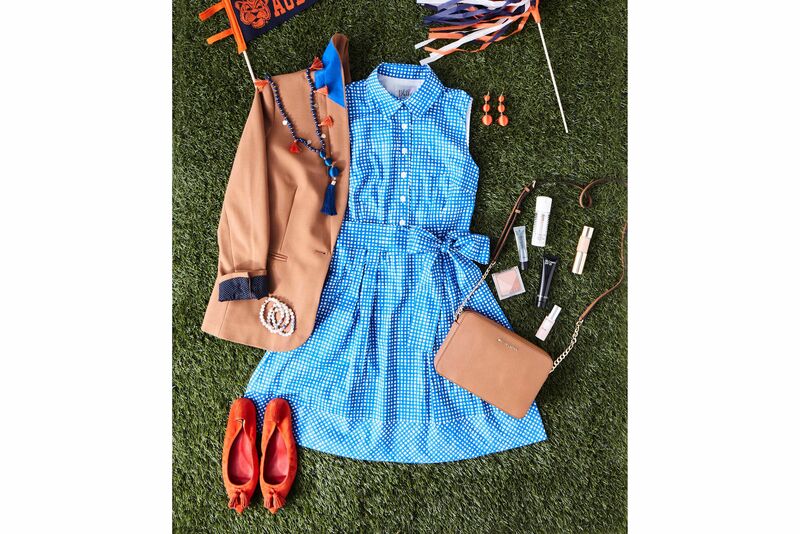 Whether paired with heeled sandals or slip-on sneakers, a well-fitted shirtdress is the Southern woman’s answer to 100+ degree heat that doesn’t involve shorts being stuck to your legs. Whether they’re ballet flats, loafers, or smoking slippers, the need for comfortable and polished flats in your arsenal cannot be emphasized enough. The right pair can dress up a pair of jeans (more on those below), substitute for your pumps at a party, and—most importantly—will keep you on your feet much longer than any pair of heels or boots. Part of getting older means realizing you don’t have to be a diehard trend-follower to look fashionable. Skinny jeans aren’t for you? Don’t force it. 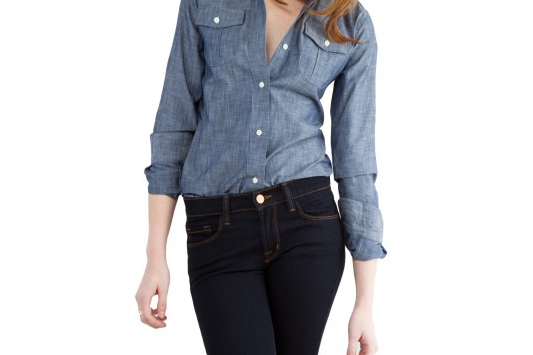 Whether they’re boot cut, wide-leg, or skinnies, a well-fitted pair of jeans is a must in any Southern woman’s closet. Find a style in a timeless wash you love yourself in—and then buy 3 pairs of them. Somewhere in between the slouchy nylon tote you carried in college and a stiff briefcase lives the structured tote bag that’s as practical for the office as it is the airport. A larger bag that fits your essentials (laptop, books, sweater, etc.) but doesn’t feel unwieldy is the mark of a true grownup. That’s Little Pastel Dress, the Southern lady’s version of a seersucker suit. Perhaps more than our northern counterparts, Southern women embrace color in their wardrobes and don’t think formal attire has to be in muted, dark hues. You can never go wrong with a black dress, but think of this piece as your more personalized special-occasion uniform—perfect for summer weddings, office parties, and even Easter brunch. Southern summers mean one thing when it comes to footwear: sandals (that is, if you aren’t already barefoot). Finding a pair that will last you several seasons, and can just as easily be worn poolside or out to dinner is a must for any active Southern woman. And a higher quality leather pair won’t fall apart on you or look sloppy with a nice dress. Most of us living in the South will never need a heavy parka, or a new coat every year because last year’s is worn out. But one quality, timeless wool coat (we suggest one in a classic shape and versatile, neutral color) is a sensible investment for a Southern woman: It’ll be there, year after year, when the temps drop below 45 degrees. And it’ll still be there, not looking dated, when they’ve jumped back up to 65 the next day. Building up a collection of fun statement jewelry is a lifelong hobby to keep, but it’s equally important to have a set of jewelry you instinctively reach for every day, from simple studs to rings to a charm bracelet. And while we Southern women are known for our pearls, that doesn’t have to be your go-to jewelry uniform. Diamonds (even if they’re fake), simple gold and silver pieces, or even a unique family heirloom you love to wear often are the makings for a set of simple yet sophisticated jewelry you can pair with anything.